Streusel topping makes everything better. Great photos and cake! That is my favorite kind of cake - can't resist anything streusel, Aimée. And you have the cutest little helper! I have a question about the yogurt: what brand do you use? I have labneh in my fridge, but I think this is a little too think. The Fage Greek-style yogurt isn't available in Montreal, and I hear it's the one to live up to. Any suggestions? I love coffee cakes soooo much! This looks amazing. Mmmmm. Hi Maria- You are right about that! Hi Patricia- Thanks, he loves cooking and baking--hope things stay that way! Hi Lorie- I use Liberté as I find it's nice and thick. Haven't tried Fage. Hi raj- Thanks so much! 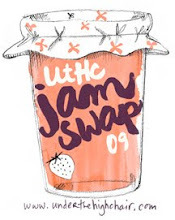 Thanks for stopping by UtHC. What a beautiful cake you make. I have to give it a try. Wow! This sounds amazing! The dough looks so yummy! That looks like a great recipe. I am a huge pecan fan, thanks for the post! I love the Maple Leaf sticker on Noah's little face. And I also love coffeecake - in any form. Any dessert with "streusel" in it wins me over. A evening brew of coffee after dinner and a slab of this is what's called for. That layer of "goodness" right there in the center is totally calling my name. Now, if only I had a sweet young gal like that to help me in the kitchen! 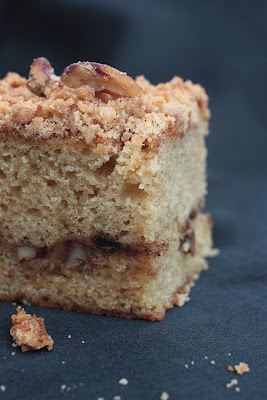 Absolutely LOVE coffee cake, and that pecan streusel sounds heavenly. Delish! I LOVE anything even remotely streusel-y! This looks amazing! And thats a huge KA you have there. What size is it? 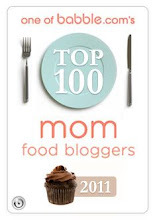 I love all recipes include some sort of streusel in the title:) Yummy!!! 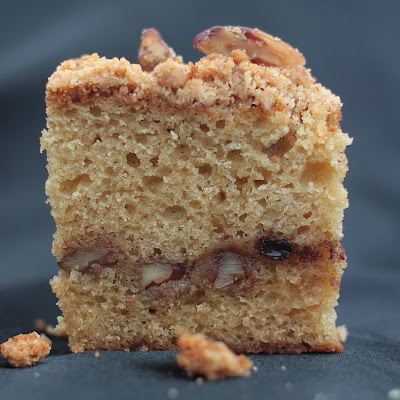 I love coffee cakes, and this one sounds wonderful! Streusel topping makes everything taste delicious! Hi anja- It would be great with walnuts!! Give them a try. Hi Avanika- It's actually standard size, but it does look big next to my little helper. 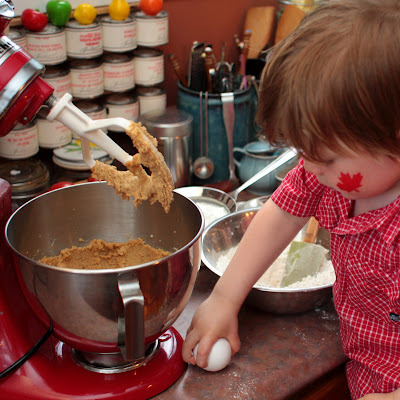 Aw, awesome photo of your sweet boy making his Daddy's cake. I'm sure it wouldn't have mattered at all how good or bad the cake was when it's made with LOVE!